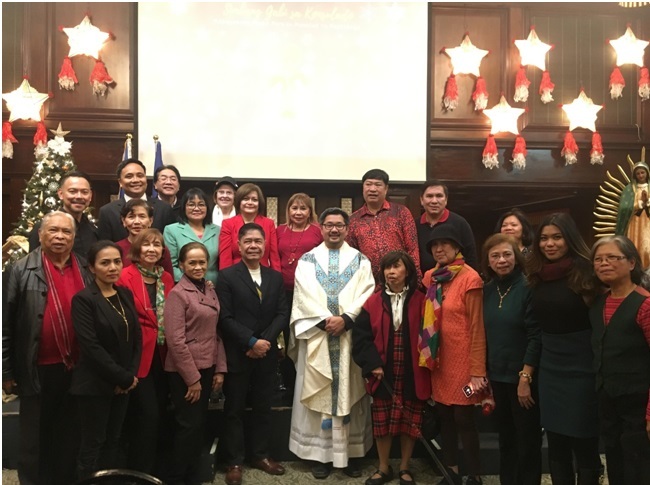 14 December 2018, New York - The Simbang Gabi sa Konsulado held at the Kalayaan Hall of the Philippine Center from 6 to 14 December 2018 continued to attract significant attendance by Fil-Ams in the Tri-State area with the first and the last night participants overflowing to the lobby. The Simbang Gabi saKonsuladoreaffirms thecommunity's re-connection with Filipino culture and heritage through this unique Filipino Christmas tradition. 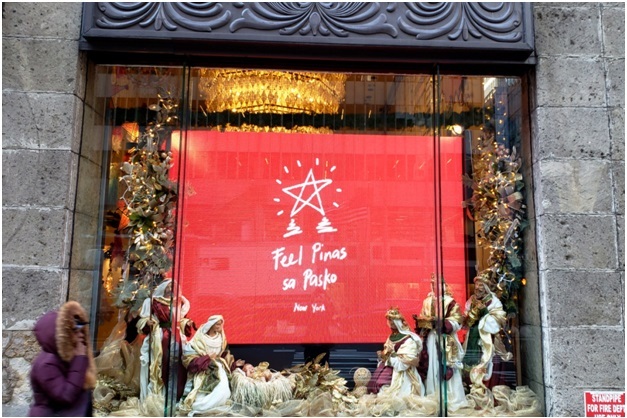 New York, 10 December - Christmas celebration the Filipino way is in full swing in New York as the lobby and glass windows of the Philippine Center along the bustling Fifth Avenue in mid-town Manhattan showcase a colorful collection of traditional parols (Christmas lanterns) and nativity scene. Thousands of New Yorkers and tourists pass by the Philippine Center everyday and admire the colorful display that depicts the rich values and Christmas traditions of the Philippines. 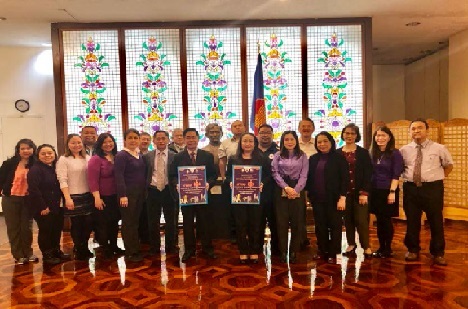 28 November 2018, New York – The Philippine Consulate General in New York (PCGNY) wore the colors purple and orange to represent the campaign to end Violence Against Women (VAW).The theme for this year’s observance, “VAW-free Community Starts With me,” enjoins everyone to assume accountability and to have a personal stake on ending VAW. 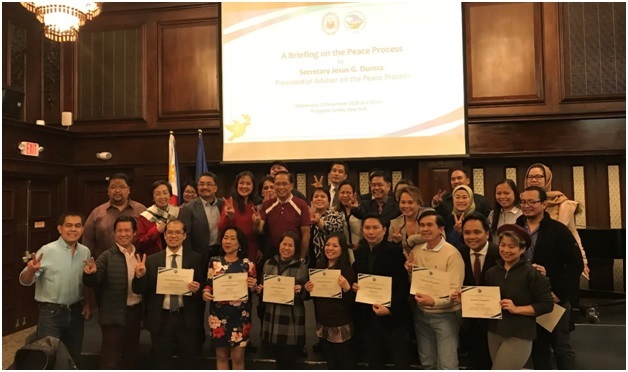 21 November 2018, New York – Presidential Adviser on Peace Process Jesus Durezakept the members of the Filipino-American media and Fil-Am community in New York abreast with the latest peace developments in the Philippines at a focus group discussion organized by the Philippine Consulate General on 20 November 2018 at the Philippine Center's Kalayaan Hall.